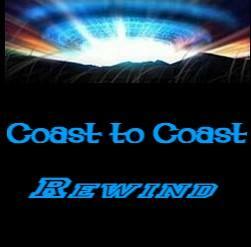 Sunday - It was a rebroadcast of Art Bell interviewing Michael Drosnin about Howard Hughs and the Bible Code. I liked this show the first time around and even listened to a lot of the rebroadcast, which is rare. Monday - Noory returned from his Christmas break with guest Dr. Mike Heiser. They talked about the Da Vinci Code among other things. This was a really interesting show, worth a second listen to me because I missed various parts of it. Tuesday - Dr. Paul Laviolette discussed galatic waves. This show wasn't my cup o' tea so I didn't listen to most of it. Wednesday - Lauren Weinstein joined George to talk about Survillance and Privacy. This was a good and informative show. Thursday - The guest was John Major Jenkins talking about the Mayans and 2012. This show was OK, but not as great as I had hoped. No doubt as we approach closer to 2012 we will hear enough shows on this subject to make us want to blow up the radio. Friday - A treat, the first of two Art Bell prediction shows. This has been a c2c annual event for ages now. Many of you know of my hate for open line shows, but there are two exceptions to this rule and they are Art's annual prediction show and his annual ghost to ghost show. Saturday - Ditto of Friday, except the second of the two shows. My favorite show of the week this time around was Monday with Dr. Mike Heiser.